The Caribbean is rightly considered Paradise on Earth. The beautiful blue-green waters, white sands, sunny climate, fresh seafood, reggae music, hospitable people and colorful culture are why people come to the Caribbean Islands again and again. The Caribbean is a region rich in history; it has a mix of fascinating cultures and diversity. The Caribbean is what it is today because of its brush with colonialism and slavery. The Caribbean region primarily comprises of two races; the Tainos or Arawaks and the Caribs. The culture and background that you see in the present day Caribbean is the contribution of the Tainos and Caribs. The discovery of the Caribbean is credited to Christopher Columbus, who thought he discovered Asia, but had actually discovered places like San Salvador, a Bahamian island, Cuba, Dominican Republic, Haiti and Jamaica. The Caribbean culture is so diverse because it has been in dozens of colonization wars. You will find European, Spanish, Dutch, French and British influences in the Caribbean because of their efforts to colonize the Caribbean region. An important thing about Caribbean history is its tryst with slavery. Slavery was brought to the Caribbean in the 18th century and has since had an impact on the culture of the Caribbean islands. Caribbean culture is all about enjoying life to the fullest. The people in the Caribbean are passionate about music, dancing and sports such as cricket. Caribbean music is all about Calypso and Reggae. Rastafarianism is a trend in the Caribbean that has formed its basis on religious and political grounds. Marcus Garvey popularized it and now Rastafarianism is a part of Caribbean life. Cricket, the West Indies team and Sir Garfield Sobers are a passion in the Caribbean. English is a popular language in the Caribbean, but not the official language of the region. Languages most spoken in the Caribbean are English, Dutch, French and Spanish. This is because of the influence of the British, Dutch, French and Spanish colonial masters. The Caribbean islands are located in the Caribbean Sea, situated at 9 – 22° N and 89 – 60°W. The neighboring countries of the Caribbean are Venezuela, Columbia and Panama to the South; Costa Rica, Nicaragua, Honduras, Guatemala, Belize and Yucatan Peninsula of Mexico to the West; Greater Antilles Islands of Cuba, Dominican Republic, Jamaica and Puerto Rico to the North and Lesser Antilles Islands to the East. Getting to the Caribbean Islands is easy. You can choose to fly down to one of the main airports of the islands or you can take a leisurely cruise. 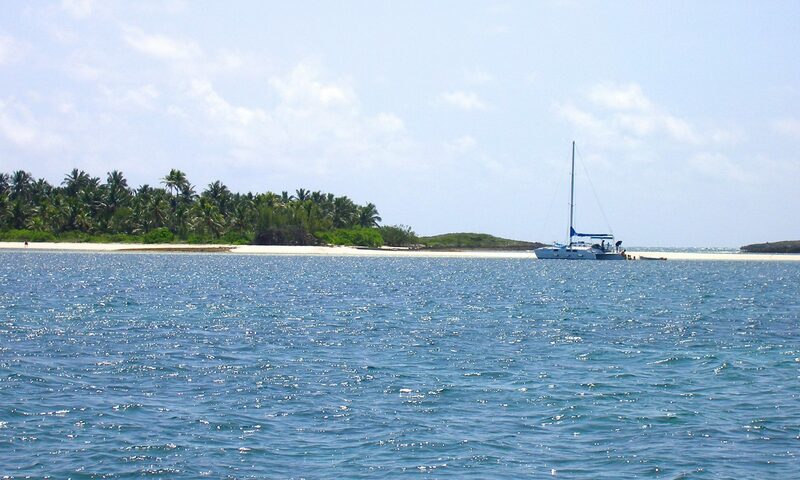 You can even charter your own private boat to sail away to the Caribbean if you are more adventurous. You can get around the Caribbean islands by plane, ferries, boats, buses, rental cars, taxis or by hiring bikes and mopeds. After slavery in the Caribbean islands, the economy has been in a delicate state of affairs. The economy of the Caribbean depends on its sugar and agricultural exports and on the production and distillation of rum. Tourism is now fast becoming one of the main income generators of the region, with more and more people discovering the magical Caribbean islands. Tourism is also providing more employment and speeding up the economical growth of the region. Another aspect of Caribbean economy is its offshore banking sector, but tourism remains the highest income-producing sector of the economy of the Caribbean islands. The most commonly accepted currency in the Caribbean is the U.S. dollar, but there are islands that have their own currency. Jamaica has the Jamaican Dollar, so does Barbados, with the Barbadian Currency. Pounds are used in places and colonies influenced by the British. The Eastern Caribbean Dollar is the currency used in the other islands of the Caribbean. Places like Puerto Rico, Virgin Islands and Guadeloupe use the US dollar and the Euro. Services and facilities are somewhat limited in the Caribbean region. Some medical services and facilities are limited to treatment for minor injury and conditions, depending on the country. For serious injuries and illnesses, you’ll need to be flown to a nearby larger country for treatment. Retirees and real estate investors prefer to live in the warm sunny climate of the Caribbean islands. The Caribbean real estate market is picking up, and the stiffest competition is from Caye Caulker in Belize. Real estate costs are very competitive in the Caribbean islands and very appealing to the smart investor. The Caribbean is located in the tropical zone and has warm and humid climatic conditions. The temperature in the Caribbean does not vary a lot; it ranges from 85 F in the warm months of July to August to 75F in the cooler months of January and February. The Caribbean region is prone to Hurricanes, which frequent the islands during June and November, though September is the time when most hurricanes have been known to hit the isles. Lazing around and just enjoying your self in the Caribbean is the best way to unwind. There are places like the Diamond Mineral falls and Mineral Baths of St. Lucia, Virgin Islands National Park, Curacao Seaquarium, Dunn’s river falls in Jamaica and Helmet Diving at Bermuda that are must sees. You can even indulge in diving, scuba diving, hiking, snorkeling, surfing and golfing. Experience the true Caribbean Culture with the Carnival, the Barbados Crop-over festival and the Emancipation Festival, when the Caribbean comes alive with music, dance and lights. The dining and nightlife in the Caribbean reflects the motto of the people, ‘enjoy life to the fullest’. The cuisine in the Caribbean is centered on mouth-watering seafood and French and Creole cuisine. Nightlife is exciting at Club Waterloo and the Amnesia Dance Club, synonymous with reggae and dance. The live shows, performances and steel bands are entertaining and reflect the culture of the islanders. The Caribbean with its seven thousand islands is a place that every one should visit at least once in a lifetime. Lodging or staying in the Caribbean is a one-of-a-kind experience. Whether you are there for a week or a month, back packing or living it up luxuriously, you have to consider your lodging arrangements. There are a variety of options for those taking a trip to the Caribbean. You can rent an ocean facing villa or house, if budget is not an issue for you. Staying at any of the hotels is also a good option. For those who are on a tight budget like the adventurous back packer, renting out a room from one of the locals is a cost effective idea. Real estate on the Caribbean islands has gathered momentum over the last few years. A large number of people including Hollywood stars, celebrities and businesspeople are choosing the Caribbean to invest in real estate. Whether you want to be in Cuba, Trinidad and Tobago, Costa Rica or Barbados, the options are endless. You can invest in a villa, condo, or an ocean-view house; or you could just buy a plot of land and use it to build your dream house. The prices of real estate in the Caribbean are very competitive, but worth every penny for the magnificent views and the chance to live in a warm, sunny climate. With its warm, sunny beaches, exceptional real estate opportunities and friendly people, more and more people are seizing the opportunity to visit the Paradise that is the Caribbean.